Komal Dar writes about the societal ill of child brides and Ali Xeeshan’s fearless statement collection at PLBW 2016. How many people in our society will we find who would agree to this? Let me take a wild guess and assume the majority; More than 60%, give or take a few. So, what do you do when the majority of people in your surroundings, which includes both men and women, believe that women are the real reason behind chaos on earth, religiously or otherwise? You do nothing!! Because why would you stand up to these radical beliefs that aren’t effecting your day to day life or hurting anyone you care about. Why bother with these radicals? Well, why not? The real question we should be asking is, when will we think outside our reserved mental capabilities? When will we start arguing against such mind sets? Before I explain what I am getting at, let me put a disclaimer that I am not a feminist, not the kind that we see these days anyway. I am definitely not biased because of my “assigned gender” thanks to society, nor am I envious of this creed of men. My question here is simple yet very complicated. Without further ado, let me introduce my topic. The Original Sin. 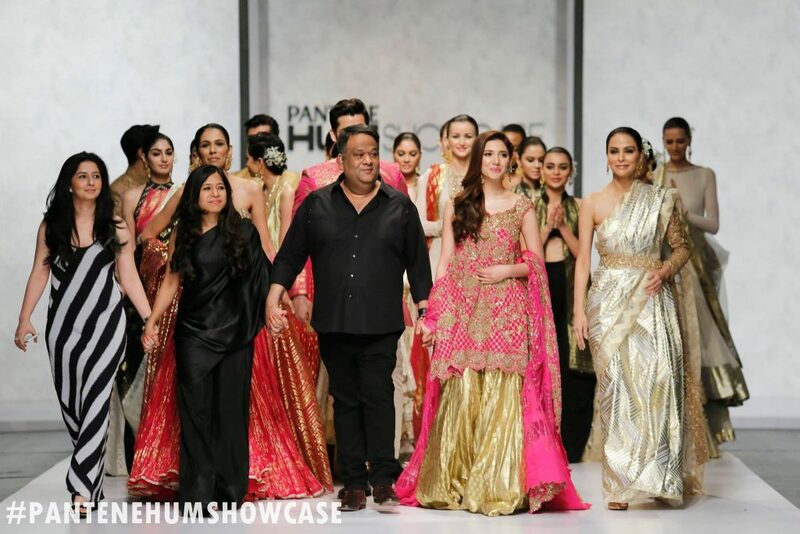 I recently attended PFDC’s L’Oreal Paris Bridal Week, where Ali Xeeshan’s theatre studio presented a stunning collection, along with a beautifully directed video. Now, in that video, the highlighted “issue” (to put it lightly) was something that we don’t usually see in the fashion industry. It highlighted a very traditional and real taboo in our society – the topic of child marriages. 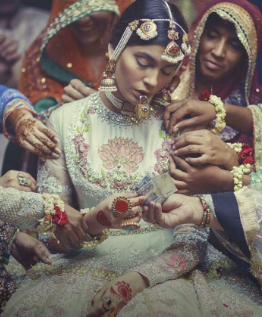 In all the grandeur of the video, with captivating music, a beautiful Amna Baber and those gorgeous dresses, one could not miss the excruciating truth of the silent young bride being portrayed. A fashion show on bridal clothes and here Ali Xeeshan presents this?? He’s kidding us, right? While some claimed Xeeshan did what he did to be an “attention seeker” we can’t help but applaud his efforts. Yes, this can be classified as attention seeking, but doesn’t this issue require our attention. Why didn’t he just give us skinny models who wear heavy clothes and walk the ramp so we could go home content, instead of a serious issues that screws with our minds. Why? Because this is a hard truth; cruel, sadistic and traditional in its nature, and sadly, it is almost unquestionable in our society. When is too late for us to realize that it is, in fact, too late? How soon can we break this belief of taming women and their sexuality, their thoughts or their personalities? Can we break this? We cannot escape these severe charges until we realize that their foundation is one based on folk tales, on cultures and societies from the dark ages. So my question again, can you see your daughter or sister, who hasn’t even grown accustomed to the reality of life, can you see her marrying a man? His age doesn’t count right now, hers does! Now is the time to take charge and make sure this doesn’t happen to one of your own! Darlings, we are tethered to chains that will not set us free until we break them! Next article#TrendReport: Summer To Fall! Its like you learn my mind! You seem to understand a lot approximately this, such as you wrote the e-book in it or something. I feel that you just can do with a few percent to pressure the message home a little bit, however instead of that, that is excellent blog. A great read. I’ll certainly be back.